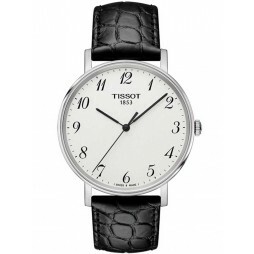 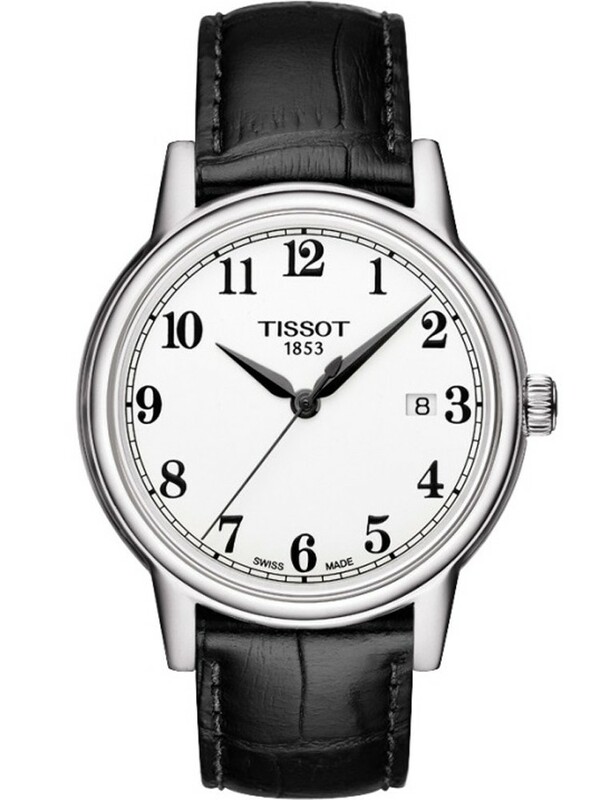 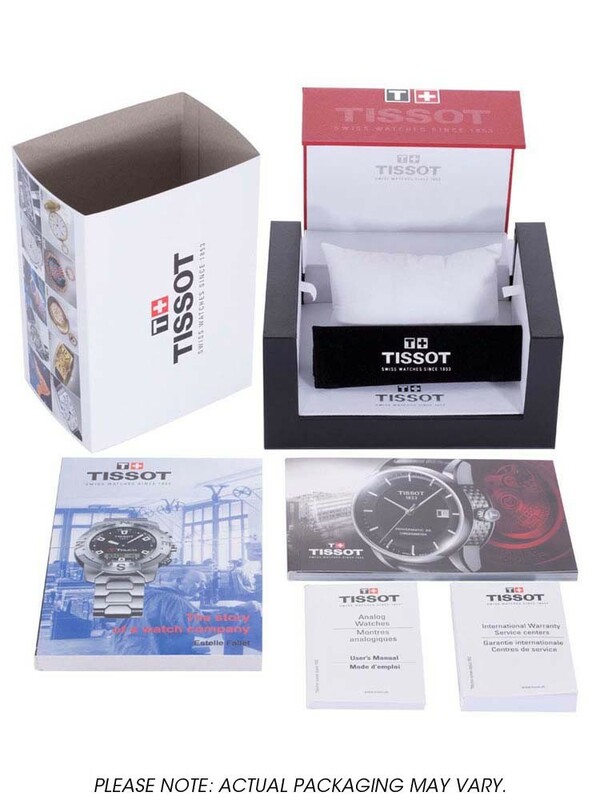 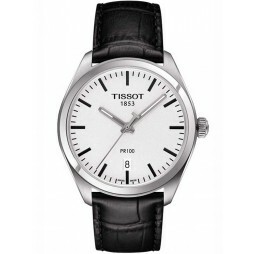 This smart gents watch by Tissot is an eye catching classic design. 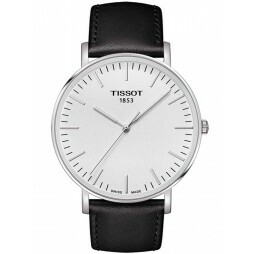 The stainless steel case is attached to a smart black leather strap. 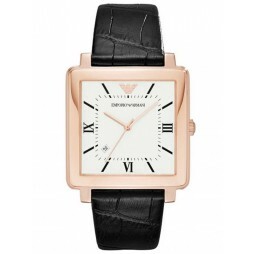 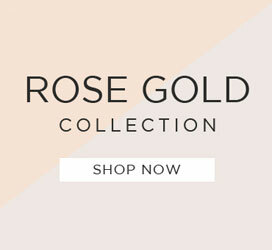 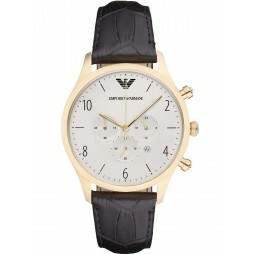 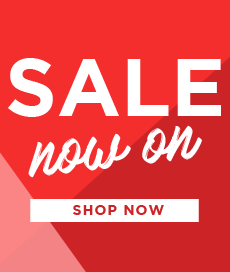 The classic design also contains a black dial with Roman numerals and a date function.